Venture to the deep south and you will experience a world like no other – forbidding subantarctic islands, astounding sea creatures, death-defying plants, the constant company of birds and, if you travel far enough, the towering ice cliffs and dead valleys of Antarctica. Few people visit this remote and mysterious region but for some the lure is irresistible. As an expedition guide, Matt Vance has accompanied intrepid tourists and birders, artists and writers. 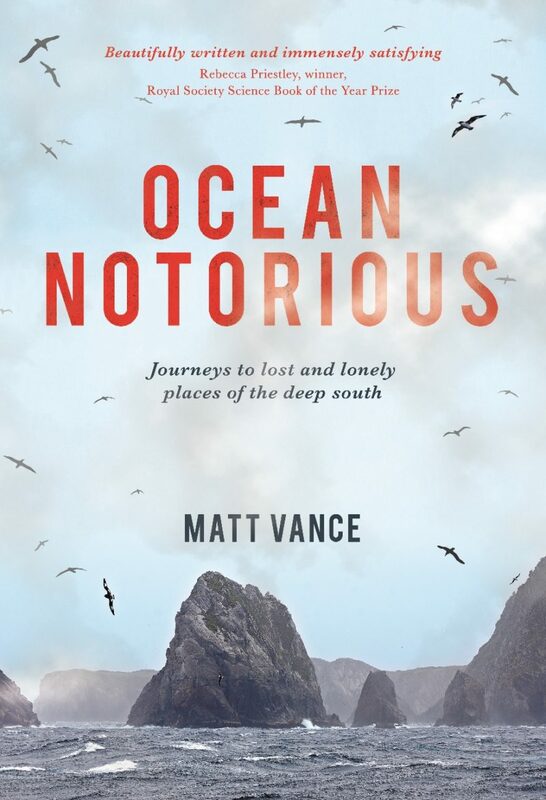 In Ocean Notorious he gives a moving first-person account of the lonely places where lives have been changed and history made – from the obsessive explorers of the heroic era to solo sailors in tiny yachts, marooned wartime coastwatchers and ruthless plunderers of wildlife to today’s dreamers, drifters and passionate preservationists. Available in all good bookstores and e-retailers in November. However, available for pre-sale now!